Fans of Picoult's fluent and absorbing storytelling will welcome her new novel, which, like Harvesting the Heart, explores family dynamics and the intricacies of motherhood, and concludes, as did The Pact, with tense courtroom drama. In the small town of New Canaan, N.H., 33-year-old Mariah discovers that her husband, Colin, is having an affair. Years ago, his cheating drove Mariah to attempt suicide and Colin had her briefly committed to an institution. Now Mariah's facing divorce and again fighting depression, when her eight-year-old daughter, Faith, suddenly acquires an imaginary friend. Soon this friend is telling the girl how to bring her grandmother back from the dead and how to cure a baby dying of AIDS. As Faith manifests stigmata, doctors are astounded, and religious controversy ensues, in part because Faith insists that God is a woman. An alarmed Colin sues for custody of Faith, and the fear of losing her daughter dramatically changes meek, diffident Mariah into a strong, protective and brave womanAone who fights for her daughter, holds her own against doctors and lawyers and finds the confidence to pursue a surprising new romance with TV atheist Ian Fletcher, cynical "Spokesman of the Millennium Generation." Though the novel feels a bit long, Picoult's pacing stabilizes the increasingly complicated plot, and the final chapters, in which Mariah fights for Faith's custody in court, are riveting. 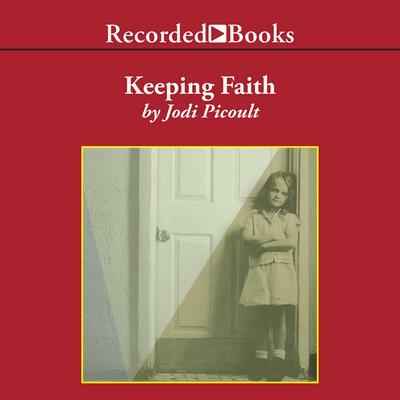 The mother-daughter relationship is all the more powerful for being buffeted by the exploitative and ethically questionable domains of medicine, media, law and religion; these characters' many triumphant transformations are Picoult's triumphs as well.